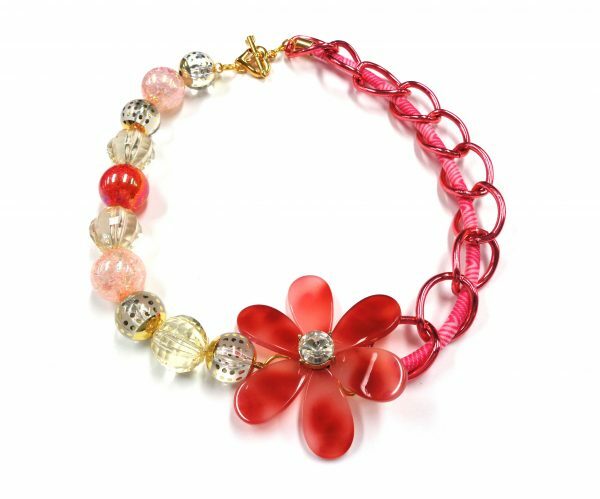 Our finished necklace showcases many of the new Tropical Punch components. 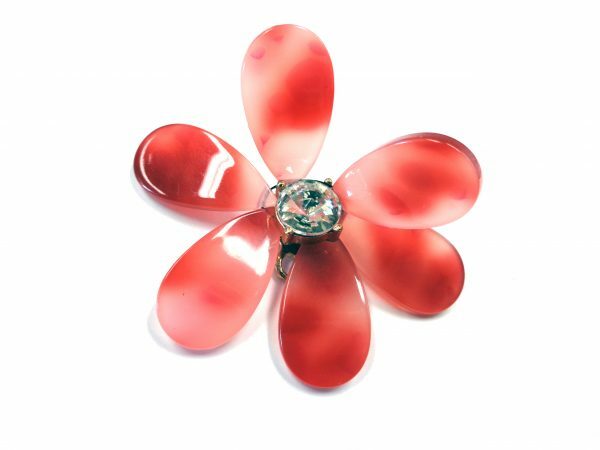 The Flower Maker is special and we wanted to be sure to put a spotlight on it. Step One – Gather your supplies. 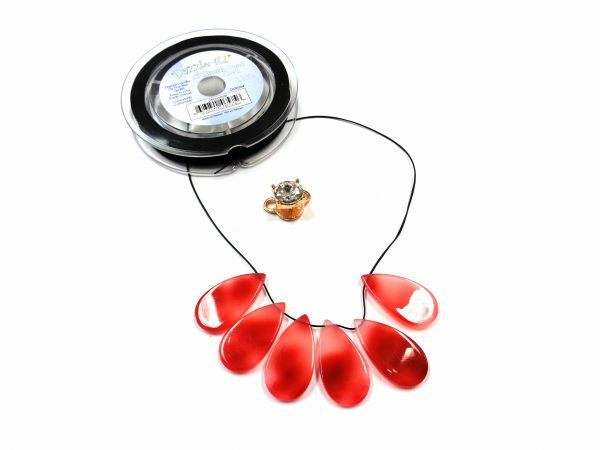 Step Two – Take note that The Flower Maker has two rings on opposite sides, which can be linked by jump rings and built up into small or large sections. 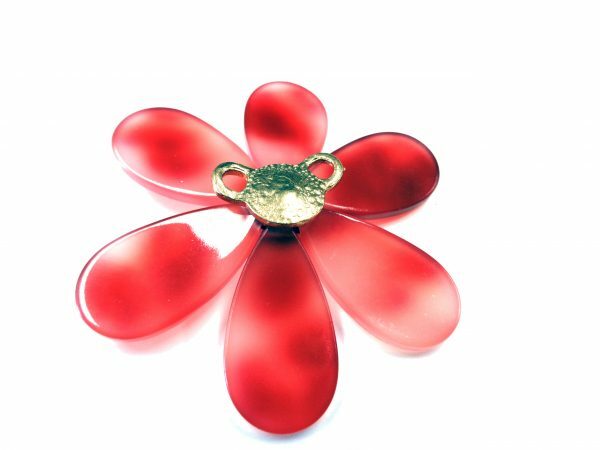 You’ll need to know where these are later when you join this flower to chain or fibers. 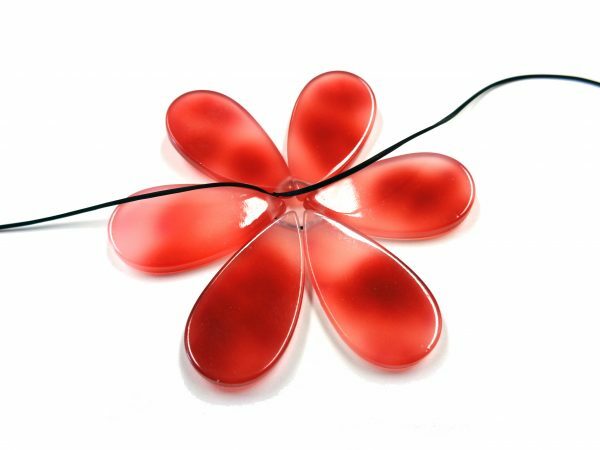 Step Three: String your Lucite petals with elastic cord and tie a knot. Step Four – Cut away extra elastic. 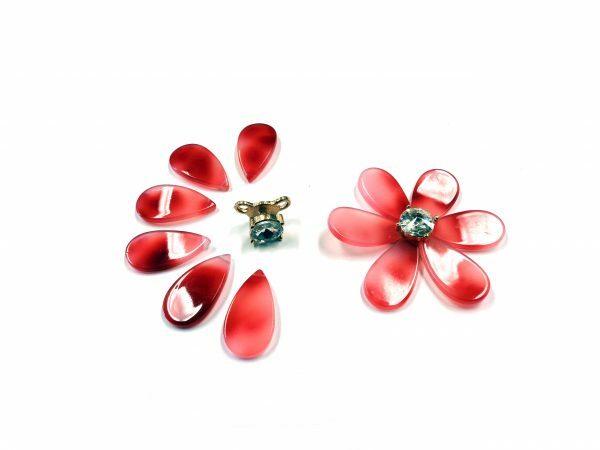 Your new elastic circle of petals will stretch right into place on the Flower Maker. 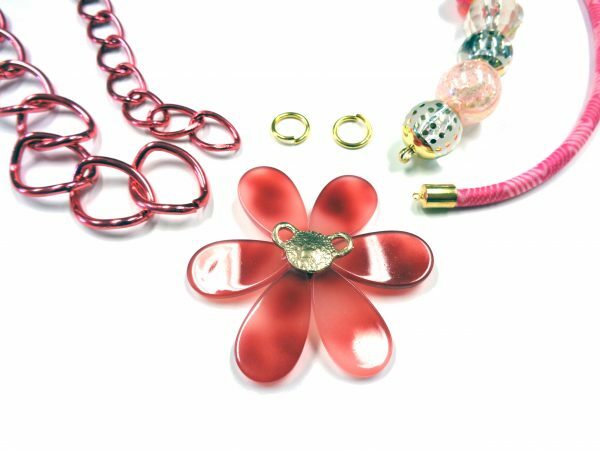 Step Six – Link the flower to your choice of chain or fiber. 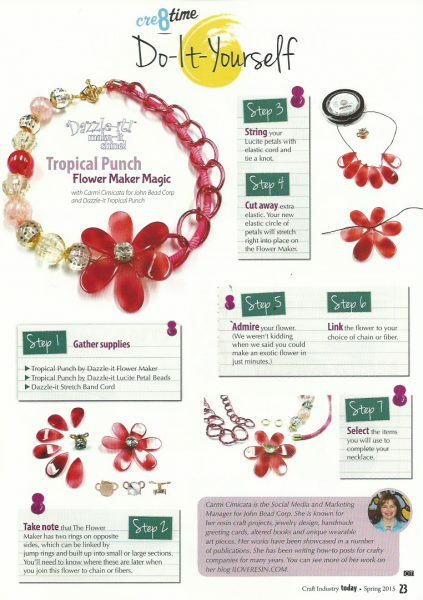 Author Carmi CimicataPosted on April 30, 2015 June 20, 2016 Categories Tropical Punch!Tags Flower Maker, Tropical Punch!